Background: Napa-Sonoma Marshes Wildlife Area is remote in that it covers many acres accessible only by boat, however, there are numerous sites for wildlife viewing where the wildlife area interfaces with major state highways. This wildlife area is an important area within the Pacific Flyway in terms of wintering waterfowl and migrating shorebirds just north of San Pablo Bay. With recent restoration efforts, interpretive signage is being added to numerous sites that incorporate species and habitat as well as cultural and natural history aspects specific to the site. The Habitat: The Napa-Sonoma Marshes Wildlife Area is primarily a wetland area of tidal influence and historic marshes. Habitats include tidal mudflats to upland grasslands defined by San Pablo Bay, Napa River, Tolay Creek, Sonoma Creek and numerous tidal sloughs. The Experience: The marshes are a historic migration area for birds as well as an important nursery site for fish and crustaceans. Water within the wildlife area can range from fresh water run off and fresh water ponds to brackish and even hyper-saline ponds (related to former salt ponds). The Napa-Sonoma Marshes Wildlife Area has one of the largest on-going restoration projects in the Western United States (~10,000 acres). Wildlife and Where to Find It: "Trails" at this wildlife area consist mainly of service roads and levee tops. Viewing Tips: Birding and fishing throughout the year, hunting of waterfowl and upland game birds during specified hunt seasons, kayaking and recreational boating throughout the year. 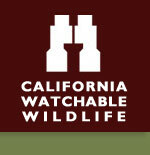 Site Notes: There are multiple units within the wildlife area boundaries including the Napa River Unit, Tolay Creek Unit, Huichica Creek Unit, American Canyon Unit, Wingo/Camp 2 Unit, Green Island Unit, Fagan Marsh EcoReserve. Each unit offers a different viewing experience based on topography,habitats and species at each unit. Parking Danger: There are multiple parking areas and pull-offs associated with this wildlife area. How to Get There: Multiple access sites off State Hwy 37, State Hwy 121 and State Hwy 29, sites primarily south of the city of Napa, west of the city of Vallejo, south of the city of Sonoma.